Engine repairs are the foundation of our business and are at the roots of each of our enginners, we work to the highest standards working alongside brand guidelines. Being a multi dealer service centre allows us access to a broad range of training courses, technical information and diagnostic equipment allowing us to work with maximum efficiency. As well as being main dealers for the market leading brands our expertise extends to products from all engine manufactures, our engineers come from a broad range of engineering backgrounds from across the globe, between our engineers we have over 100 years of experience which spans across most marine engine brand on the market. As well as servicing your engine we can also educate the owner on how to carry out emergency repairs should you break down while at sea, The most common engine failure issues can be rectified with relatively little knowledge and tools, the most cost effective way of doing this is simply being on board while we service your engine, this way we can give you hands on experience of changing fuel filters, impellers and advise on fault finding common issues. As well as our engineers on the tools, all our office staff have an engineering background, this allows us to carry out primary fault finding over the phone with the customer for DIY repair or estimated repair costs from the word GO! 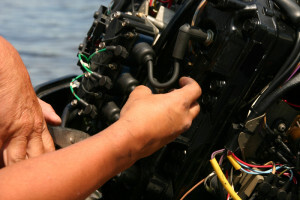 From engine replacement to servicing West Marine will maintain your vessel to the highest possible standards making West Marine your first port of call for maintaining you engine.